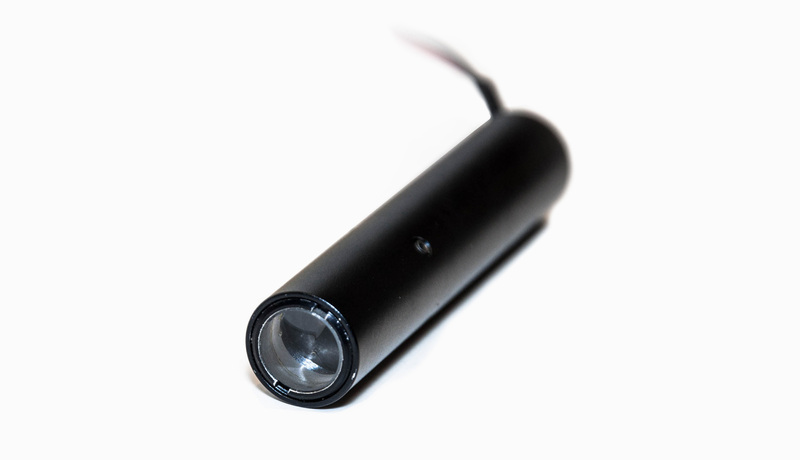 The PM is a rugged laser module with a variety of options and accessories. This product can be configured with a variety of laser diodes at various output powers and operating wavelengths. Products with IR output or with more than 5mW of output power are not intended for surveying, leveling, and alignment applications. Visible units with less than 5 mW of output power are CDRH certified as laser systems. The module operates in constant optical output power mode only. This means that if there is a change in temperature, focus, or any other dynamic that changes the output of the laser, the power supply will automatically adjust current output to compensate. This maintains a constant and stable output power.